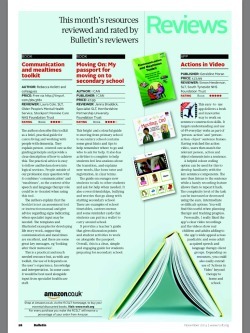 Libby Danckert SLP at Sensory Connections Western Australia said about Actions in Video “It is a wonderful resource! I thought you may like to know that Sarah and I shared it at our recent Speech Pathology meeting where we get together with our colleagues from three different practices in our area. 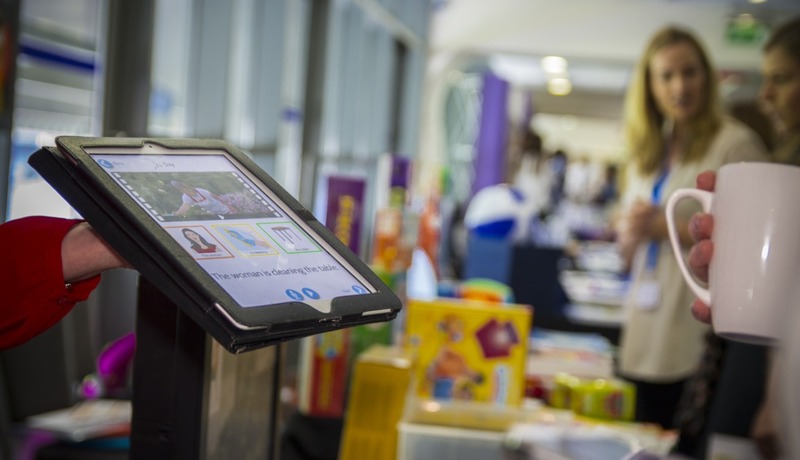 We gave a demonstration of what was included in your app in terms of vocabulary and levels. We also went into settings and made changes to the pronouns and the colour codes to look at how this can be used more widely. · They love the videos. This is so appealing and a step up from pictures. · They like how it is progressively sequenced. · It is good to be able to remove colours to extend the use for some clients. Sydney therapist welcomes the addition of he/she' pronouns. After using Actions in Video since December, I have found it to be a very useful and motivating app for a number of my clients. One of my clients, whose parents bought the app, keeps asking during the session to do this app which he has memorised. I am glad that next session I will be able to use he and she to add to the complexity. New! 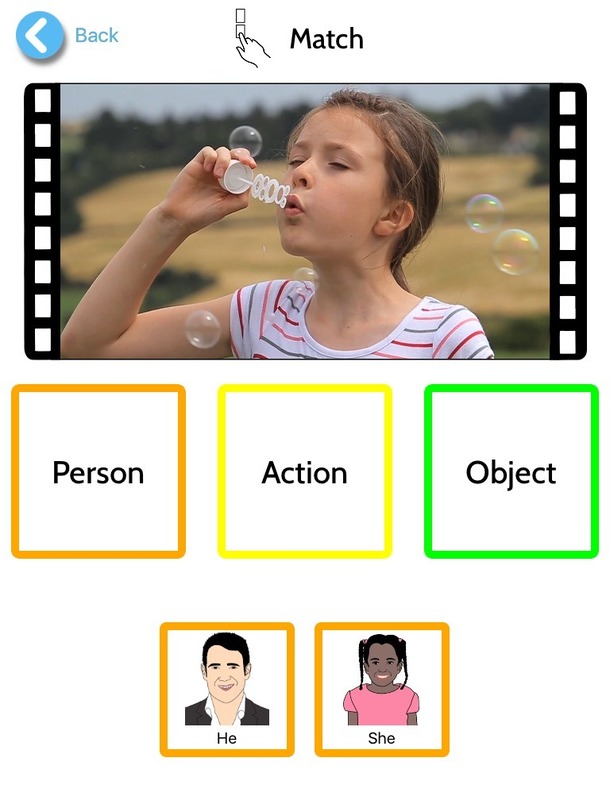 Now you can use your Actions in Video app to work on he/she pronoun. Update your app to get this new feature in the app settings. 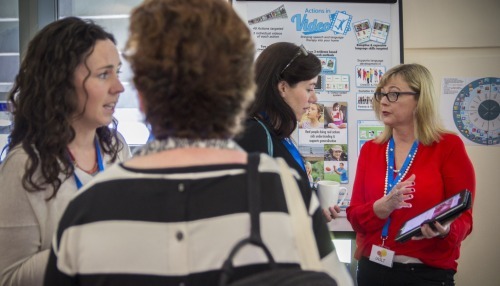 One of the highlights of 2015 was meeting so many Speech & Language Therapists at the IASLT conference in Dublin. It was great to hear how they use Actions in Video app in so many ways to support language development. 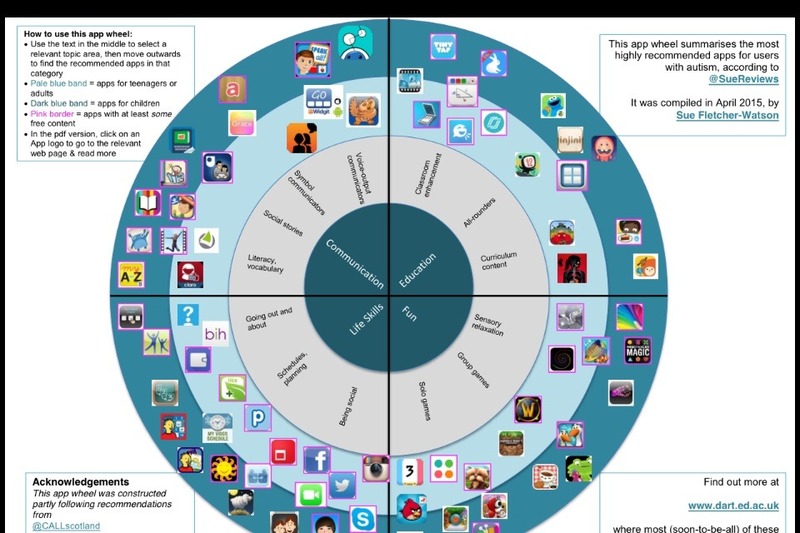 New Zealand Speech & Language Therapist commented: “I tried this app with a range of students with developmental communication disabilities and found several features of it to be useful in practice”. 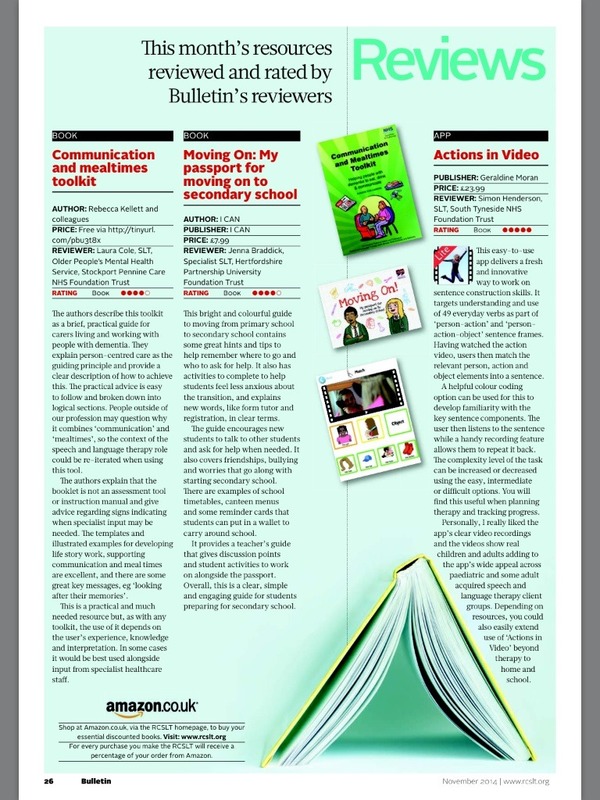 See the review in Communication Matters - the magazine of the New Zealand Speech & Language Therapists’ Association (NZSTA). 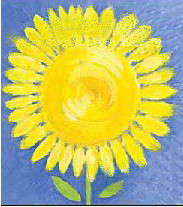 a wonderful programme that should be accessed by a good number of children”. “I really like the videos because they are short, simple and concrete. I also like that the app includes videos of both real children and adults which makes it appropriate to use with a variety of ages”. 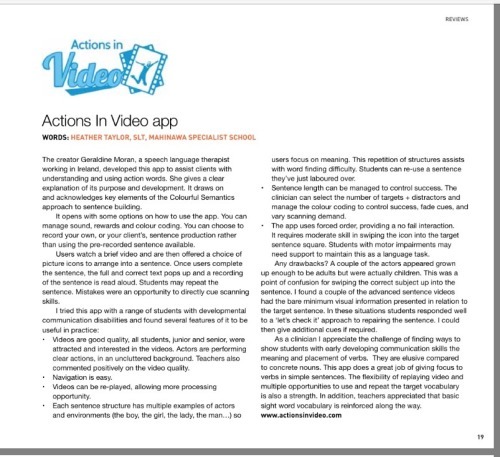 Royal College of Speech and Language magazine ‘Bulletin’ reviews Actions in Video app and gives it the thumbs up as a therapy app. 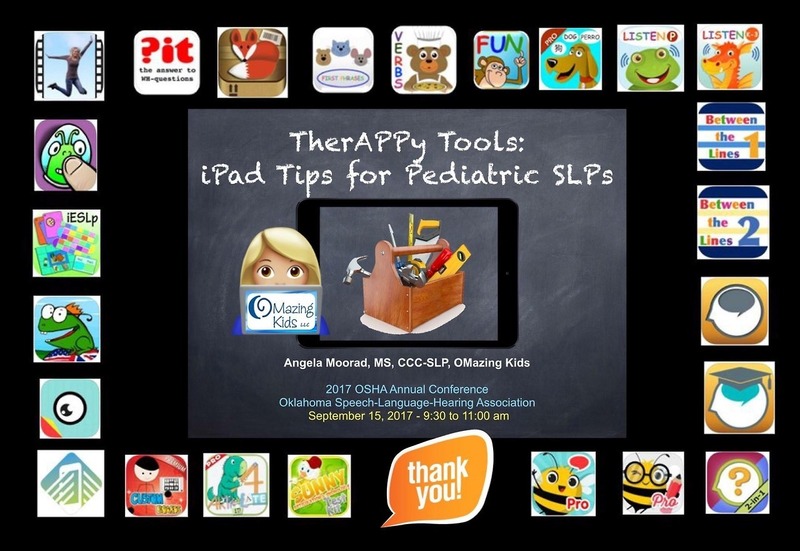 …This morning I presented your videos and App to our stream of 28 speech pathologists. They were blown away! 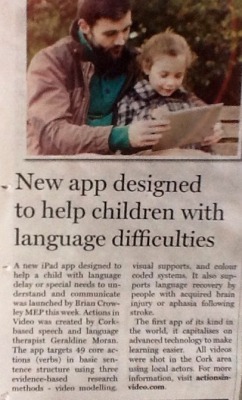 I dare say word of mouth will move this wonderful resource into therapy sessions and family homes here in Melbourne. 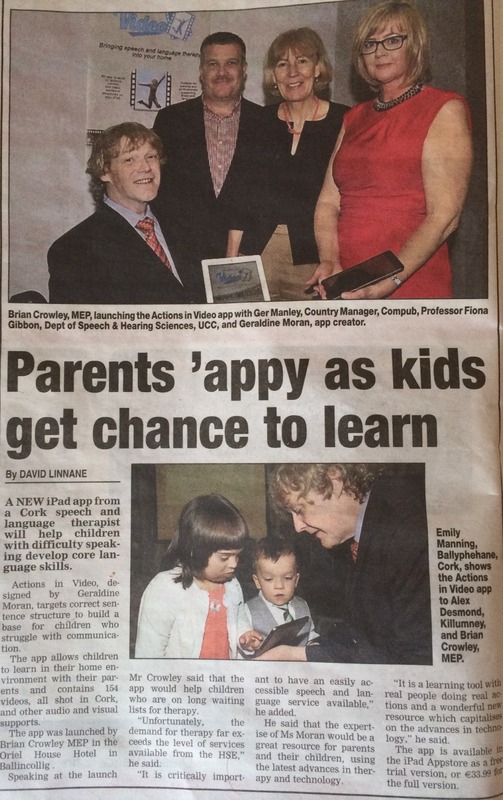 …….We’ve been using it in school with a child with Down’s Syndrome who’s in Senior Infants. The Resource teachers liked the user friendly, easy to use 4 step approach. The child can recognise real people performing real actions. 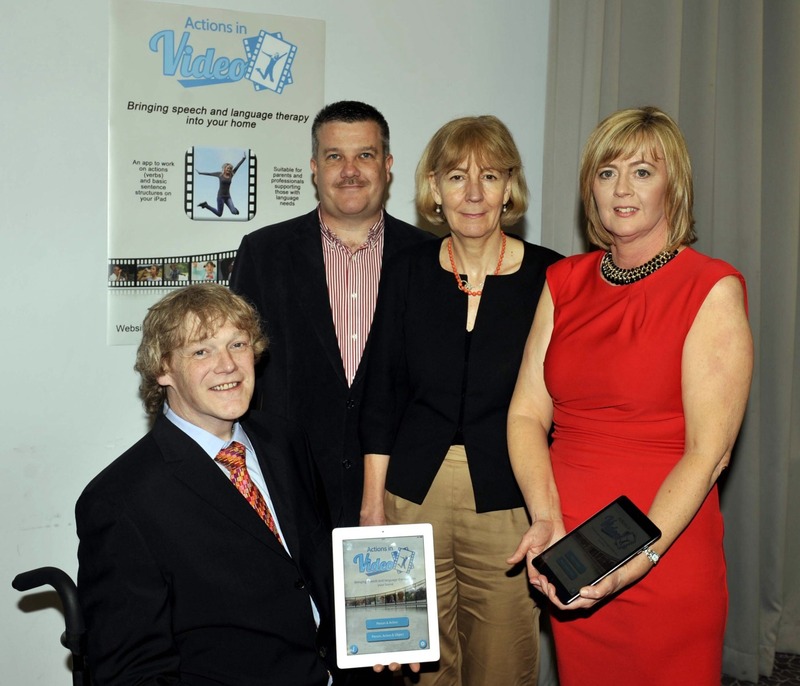 There’s no sounds with the video itself, which we found great as it focusses on the action. Very importantly, the child has learned to structure sentences, which is made easier for her through colour coding. This can be removed to increase the complexity for her later on. She has gained confidence in her speech and loved hearing herself speak the sentence! We had found it hard to get her to use the word “is” in a sentence, but this has made a huge difference. 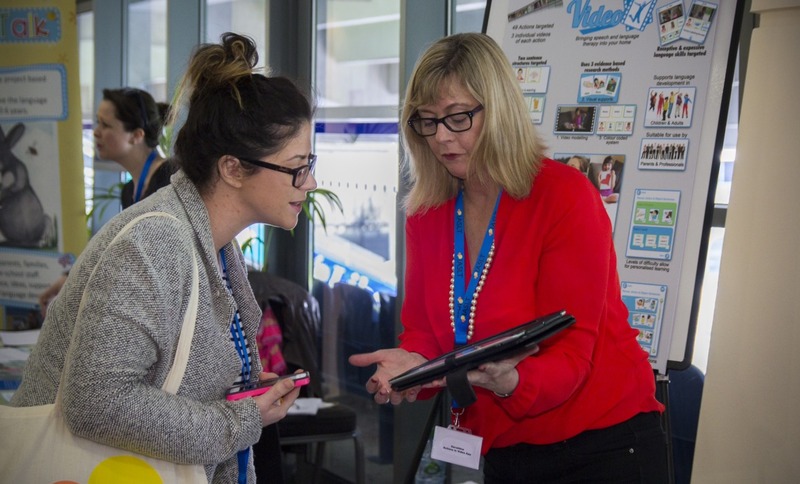 It has encouraged her to use a wider variety of verbs in her vocabulary…..
“I started using it immediately and really like it. 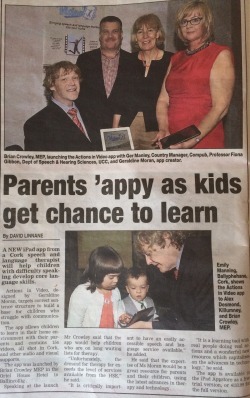 Today I used your app with a 5-year-old boy with Down syndrome. His 8-year-old sister was with us too helping out as a language model. It was perfect for this little guy. Using it on the easy setting first for person + action, he sailed through it. His sister who acts like his mini-speech therapist at times said, "this app is really good for him. He’s doing really well!” Later when she saw that someone in the video also had Ds, she said to her brother, “hey he kinda looks like you.” I think she was happy that people like her brother were represented. With another client who is 10 years old with language skills of a 3- 5 year old and splinter literacy skills of a 6-7 year old, I used it to help with her decoding and reading fluency skills. 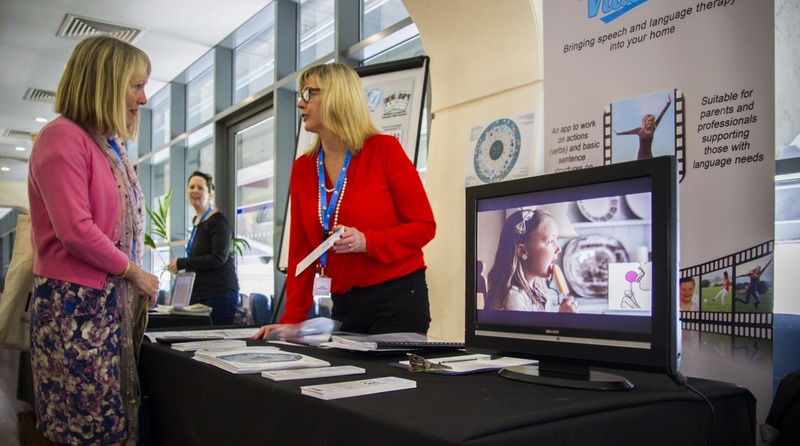 It is easy enough for her to use and understand and the recording feature provides excellent and immediate auditory feedback. It helped improve her speech intelligibility as well. The design, layout, and presentation works well with this client because it reduces visual clutter, yet, provides meaningful, consistent, and appropriate visual cues. 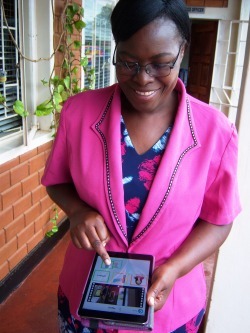 Having the video clips also helps her work on her observation skills. Dawn Ferrer, MS, Licensed SLP is a regular presenter at conferences throughout the USA on the use of technologies in therapy.